Our optical attenuators are part of the Express Logistics Carriers, now in use on the International Space Station. This fiber optic attenuator is part of a data link that relays information from experiments in outer space to the astronauts inside the space station. These parts underwent rigorous cryogenic, vibration and radiation testing in order to become flight-qualified. This is a great example of a project where Precision MicroFab was presented with the problem and invented, designed, modeled and built the part. 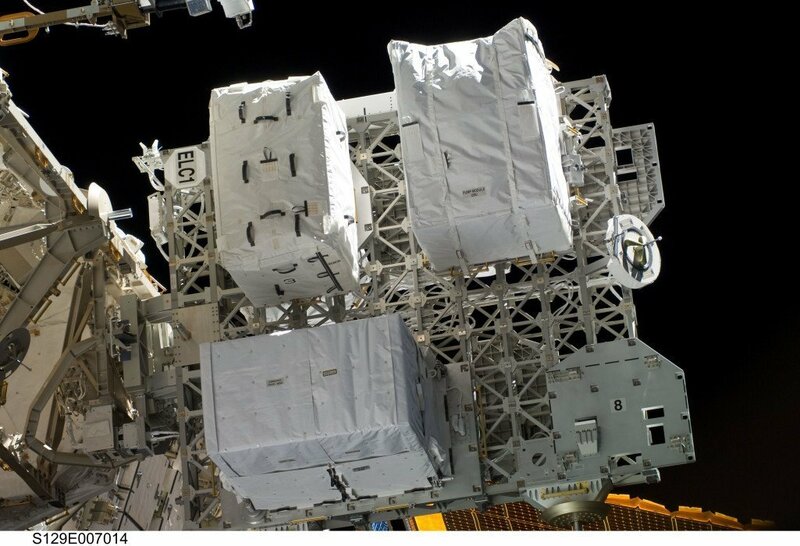 There are currently four optical attenuators in use on the space station. They were launched with shuttle missions STS-129, STS-133 and STS-134. 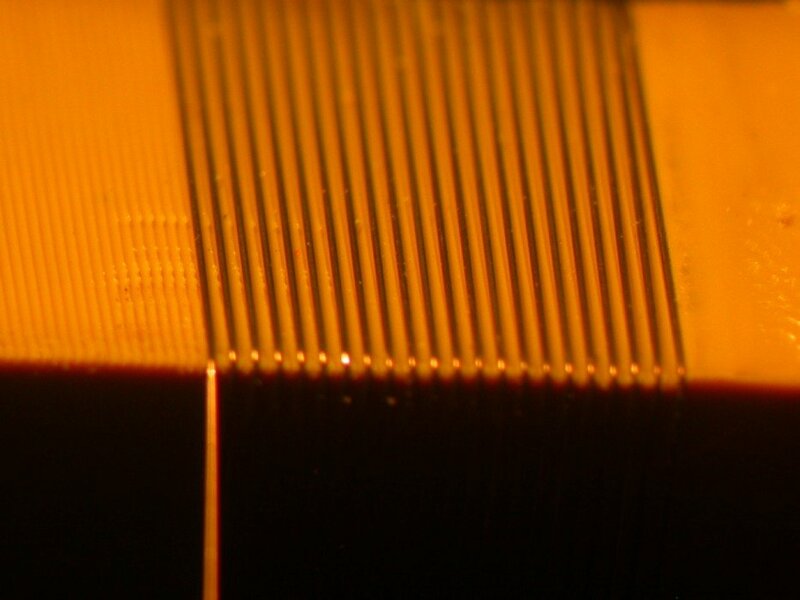 Precision MicroFab designed a micro-wire array with 75 μm diameter wires on 100 μm centers to go inside a vacuum chamber. There were two challenges to this assignment. First of all, the entire assembly had to be vacuum compatible. Secondly, the wires would have opposite charges, causing them to arch if they got too close. Precision MicroFab invented a clever design with inner and outer frames for the different electrical polarities. 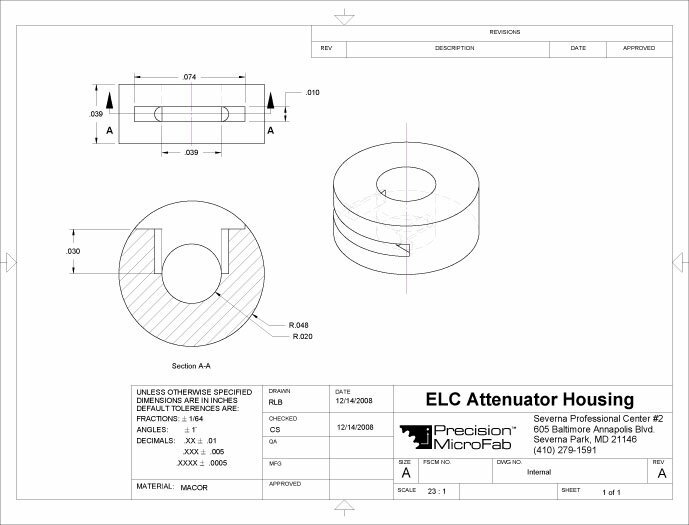 We sent a 3D model to the client for approval, then we broke the design down into detailed fabrication drawings. 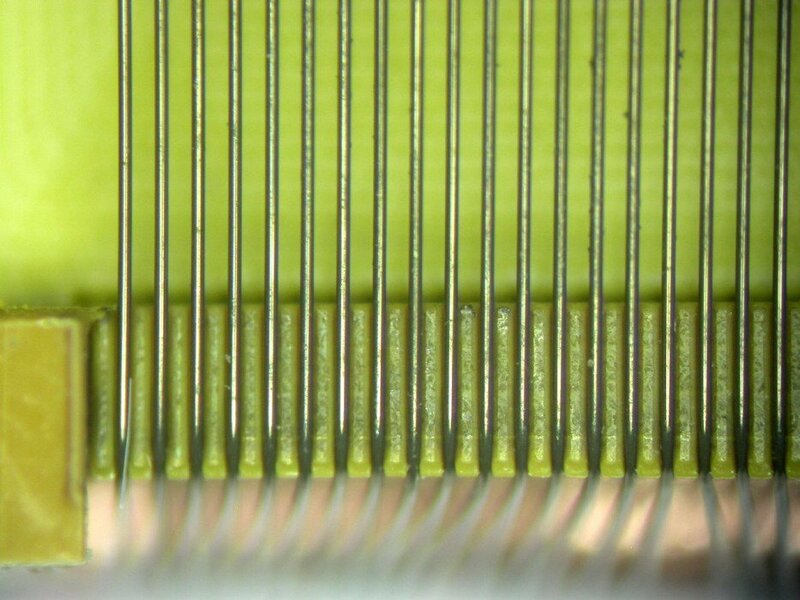 We micro-milled the frames, and on those frames we used an ArF excimer laser to micro-machine tiny channels to hold the wire locations. We built a special fixture to wind the wires around the frames, keeping the tension high and the wire locations correct. Finally, we nested the inner and outer frames under the microscope, making microscopic adjustments to the frame positions before cementing them together.